Is it possible to over-encourage? Yes, you need to have the confidence to confront poor behaviour and manager under-performance through clear communication and constructive conversations. Let’s take that as ‘sorted’. Without that accountability it’s certainly possible to create a culture that is falsely positive, where poor attitudes and slack work habits go unchallenged. But, assuming that’s in place because you have well-trained managers (if you don’t, give me a call and let’s get them well-trained! ), is it possible to over-encourage or is it the case that the more praise, encouragement and generally positive inputs to the work environment, the better? What do you reckon? And what will you stop doing, start doing and continue doing as a result? I’m genuinely really interested to hear your thoughts. Impossible not to be inspired! 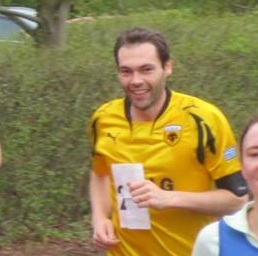 Yesterday I completed my first ever proper running event – the Regency 10k in Leamington Spa. I wasn’t going particularly fast or , achieving anything especially impressive compared to the accomplishments of many others in so many different fields of life, but it was something i’d set a goal to do so it felt great to go out and do it. Just for the record, I came 636th! What really took me by surprise was the impact that the cheering, shouting and encouraging words from the crowds watching and also the stewards and marshals stationed around the course had on me. It was genuinely very profound and made me want to run faster and push myself to get round in the very best time I could. It was like my own mini London 2012 experience! I can also recall so many other situations where I’ve been going into new situations in both a personal and professional context and there alongside me was someone significant cheering me on, expressing confidence in my ability to succeed and giving me that undeniable boost that comes when someone else shows belief in what you can do. In discussions around good leadership and management we talk often about the value of praise, encouragement and reward, but I’m not sure we really appreciate just how much of an impact we can have on those around us. As I discovered in a small way yesterday, it’s impossible not to be inspired when others cheers you along, congratulate you on your progress and urge you to dig in and keep going. Find someone to cheer on today and see what happens!